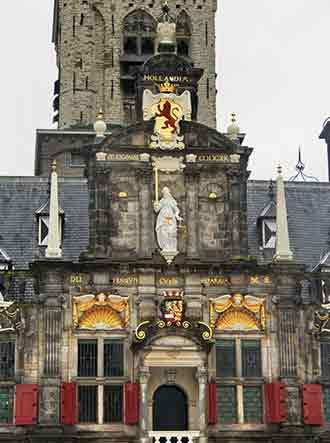 The City Hall in Delft is a Must-See Renaissance style building when on a Delft Tour. 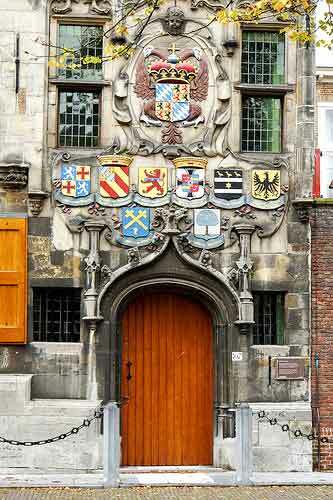 Still today this is where many Delft residents hold their civic wedding ceremonies so we may see one when on Tour. Originally designed by the Dutch architect Hendrick de Keyser, it was heavily changed over the centuries and was restored in the 20th century to its Renaissance appearance. The Prinsenhof ("The Court of the Prince") & Gardens are a must see on a Delft Tour as it is an urban palace built in the Middle Ages as a monastery. Later it served as a residence for William the Silent. The building still exists and now houses the municipal museum. William was murdered in the Prinsenhof in 1584; the holes in the wall made by the bullets at the main stairs are still visible. When Touring with Tour Delft you will hear how Hugo was a jurist in the Dutch Republic. He helped lay the foundations for international law, based on natural law. 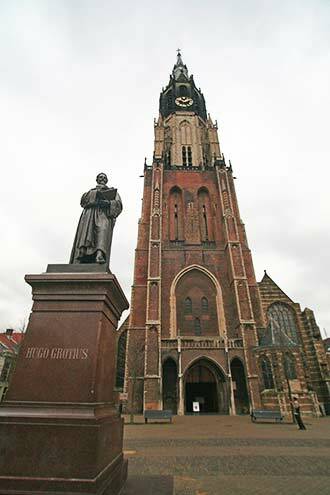 His father Jan was a physicist dropping cannon-balls from the church towers of Delft to prove the theory of gravity. When you want to Tour Delft you should let your guide show you the old Delft East Gate as this is the only city gate remaining in Delft; the others were demolished in the 19th century. It currently serves as an art gallery and private residence. No Tour of Delft is complete without seeing The Old Church (Oude Kerk), nicknamed “Old John” (Oude Jan), is a church in the Gothic style in the middle of the old city center of Delft. It has a landmark feature with its 75-meter-high brick tower that leans about 2 meters from the vertical. De Waag in Delft is a building behind the town hall on the west side of the Market that borders on the old Wijnhaven. It was Delfts main sale room for butter and other staples that had to be weighed in large quantity. 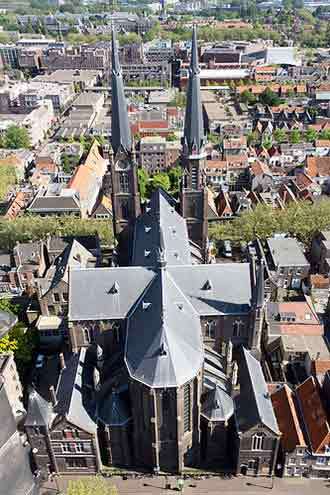 Maria Jesse church is a neo-Gothic Roman Catholic parish church in Delft, built in the period 1875 – 1882. Tour on a Thursday or Saturday afternoon and it is open to Sightseeing inside too. The Late-Gothic Delft building houses the main office of the Delfland Water Board and should not be missed when we Tour Delft together. In this short film see how Delft Blue is made in a delightful pottery called the Delft’s Peacock which can be part of a Delft City Tour. 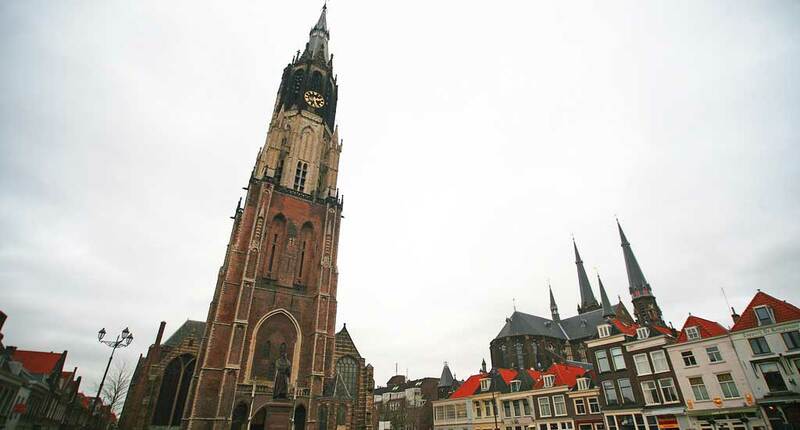 Visit Delft and Tour with All the Stories behind the Sights. Delft Walking Tours with a friendly local guide is really the best way to see Delft and you avoid the Tourist Traps too. Whilst we Tour in Delft you keep on crossing a network of waterways which were used for the transport of goods from 1246 (when on the 15th April) Delft originally got its Town Charter from Count William II of Holland. After that Delft developed rapidl. 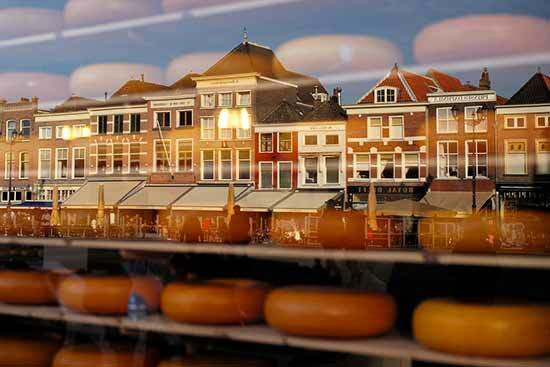 We will tour some of the famous Markets of Delft. This building is one of the oldest buildings in Delft and dates from the late 15th century and can be on your Tour. 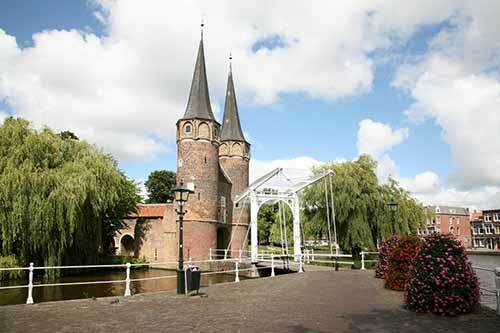 Tour Delft and let your Private Delft Tour Guide you with All the Stories to go with the Best possible Sights. We help optimize your time in Delft and The Hague. We guide you and let you avoid the Tourist Traps and Experience real Dutch History and Culture with a Friendly Local Guide focused on you or your groups personal Delft Tour. Feel at ease when you visit and enjoy sightseeing in Delft and The Hague (also known as Den Haag) with your own private local guide sightseeing at your own pace in The Hague and Delft. Guided around the historic City Centres we have stories starting from the 13th century and can take you to all The Hague’s and Delft’s important sights like the world famous Peace Palace (International Court of Justice) and the Princes Court. Your personal guide meets you and your guests at your Hotel or at the Train Station, and your Private Guided Tour of Delft can start and stop Touring whenever suits you. We can arrange transportation if you really don’t like walking and any attraction entrance if you would like us to. Tours of The Hague and Delft can be customised for duration, route, and include Museums if you wish. No waiting around or getting lost and missing the best attractions when you visit The Hague (a.k.a. Den Haag) and Delft. 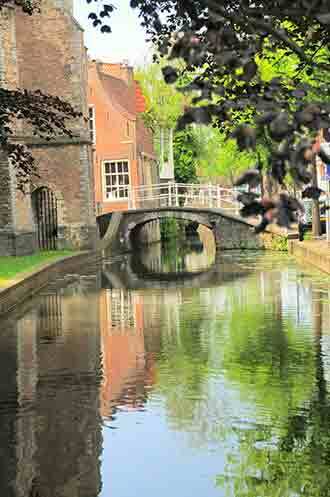 Tour Delft allows you to customize your visit so that you have exactly the Guided Tour you want. We can show you The Hague too ! Only a short trip away and you can Tour The Hague’s historic sights of the Dutch Parliament, Museums, and Palaces; see Scheveningen too if you would like. ‘Live like a local’ as we guide you to the best sights (including hidden treasures), Terraces, Restaurants, and Cafes in The Hague or Delft and make sure you enjoy everything there is to see when sightseeing in these fabulous Architectural, Royal and Cosmopolitan Cities. Research has demonstrated that Delft is the most popular Dutch city for walking and the compact old city center of Old Delft is so beautiful! You need not look any further – this is the city with something for everyone. All year round, Delft offers something for the culture lover, the fun shopper, the historian, the scientist, the gourmand, and the sporty. The city of Delft has it all – green squares and romantic canals, quiet almshouses, pleasant terraces, fun shops, exclusive restaurants and attractive hotels. And we haven’t mentioned the museums yet! 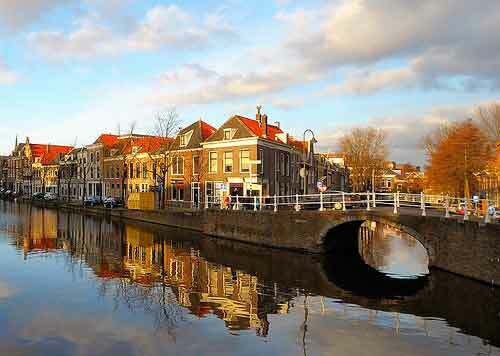 This is the city of the world-famous Delftware, of William of Orange and of Johannes Vermeer. 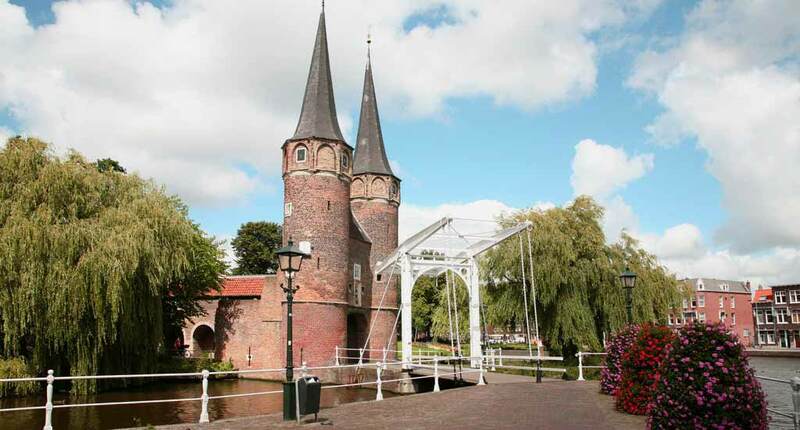 When you arrive in Delft by Tram or Train you are near the old center called Old Delft. The Markt is one of the most beautiful squares in the Netherlands, framed by the 17th century gables, the wonderful Stadhuis (Town Hall), and the imposing Nieuwe Kerk with the mausoleum of William of Orange. It takes you back in time. The atmosphere is relaxed and typically Dutch, just like the pancakes and the ‘poffertjes’ you find on the menus. The city’s liveliness is enhanced by its relatively young and international inhabitants – the various knowledge institutes, including the Technical University of Delft with more than 13,000 students, contribute to that. The Medieval structure is still recognisable in the old city center. Where possible, the center is a car-free zone, enabling you to explore the pleasant city center on foot. Most sights and attractions are within walking distance of each other. Monumental houses are an explicit memory of Delft’s rich past. More than 750 years old, the city enjoyed its heyday in the Golden Age. In those days, Delft was a rich merchants’ town with its own lodge of the Dutch East India Company and the town was home to famous scientists, such as Hugo Grotius, and painters like Johannes Vermeer. As the home base of the Dutch East India Company, the largest trading company in the world, Delft became familiar with Chinese porcelain, which was to be the inspiration for the famous Delftware. But even before those days, Delft already experienced international fame. As a city of beer, with 150 breweries in its glory days, and as a textile city, where fine Delft worsted was made. Where the barges used to be loaded with textiles, barrels of beer and Delftware on the canals, you are now welcome on flat barges with colourful terraces. Let us welcome you to Delft. Beware – you would not be the first to fall in love with the picturesque and romantic city. 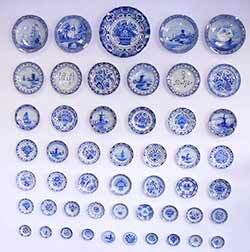 Who doesn’t know the Delft blue ceramics? Throughout the whole world, plates, tiles, tableaux and vases, decorated with the beautiful blue patterns are recognised. Sometimes, the items are as small as a thimble or a bauble for a Christmas tree, and sometimes they are so large they take up an entire wall. The porcelain has its origins in the 17th century. Due to the international trade of the Dutch East India Company, the Delft potters became familiar with fine Chinese porcelain. ‘We can do that’, they must have thought, because Delft imitations started to appear pretty quickly. The ceramics factories Royal Delft (1653) and Delft Pottery De Delftse Pauw continue the tradition of hand-painted Delftware to this day. The small other factories, like De Candelaer and the various studios, also display wonderful examples of traditional craftsmanship and the rich fantasy of the Delft potters of now and then. Royal Delft is the largest and oldest remaining pottery in Delft and we can guide you there and through the museum, factory and shop. Delft Pottery De Delftse Pauw offers Tours of the factory and demonstrations of ceramics painting. De Candelaer: Visit the showroom, ceramics production and demonstrations of ceramics painting. Delft and the House of Oranje-Nassau, the Dutch royal family, have had close links for many centuries. It started in 1572 when Prince William of Orange (1533-1584), Earl of Nassau, regularly stayed with his family and court in the Sint-Agathaklooster, because in those turbulent days he believed himself to be safe within the fortified city. However, the founder of the Dutch monarchy died in the Sint-Agathaklooster in 1584 when he was shot by Balthasar Gerards. You can still see the bullet holes. The final immor­tal words of the Father of the Nation, champion of free­dom of religion and an independent Netherlands, were: ‘Mon Dieu, ayez pitié de mon âme et de ce pauvre peuple.’ – ‘Dear God, pity my soul and this poor nation.’ He was buried in the Nieuwe Kerk in Delft, because Breda, where the family grave was, was held by the Spanish. Since those days, 46 members of the Dutch royal family have found their final resting place in the vaults of this church. Only in Delft can you learn everything about the intriguing battles of William of Orange, his life, and its dramatic conclusion. The nuns used to walk along the corridor where William of Orange placed his final footsteps. The Sint-Agathaklooster was founded around 1400 and remained a convent until the Prince moved in, in 1572. After his wretched death, the convent had many uses, including a Latin school and barracks. 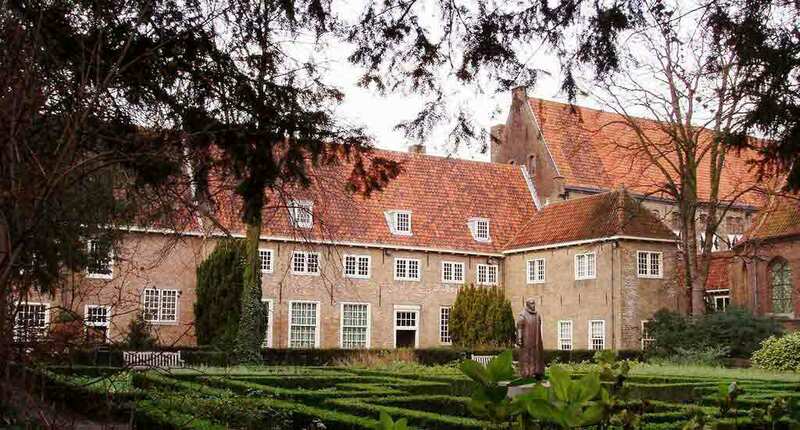 In 1962 it became a museum named after its illustrious inhabitant – het Prinsenhof. Of course you can look at the bullet holes, but you can also learn about the story of William’s battle against the Spanish and about the other main players from the Eighty Year War. From the Golden Age, Delft’s heyday, the museum has a beautiful collection of ceramics, silver, tapestries and paintings. Statue of William of Orange in rustic convent garden. Mausoleum of William of Orange at the Nieuwe Kerk. The Vermeer Centre offers a visual voyage of discovery through the life, work and city of Johannes Vermeer. The visitor steps into 17th century Delft, sees samples from Vermeer’s oeuvre, goes in search of his mentor and the stories behind the paint­ings. In the studio, the visitor learns how Vermeer approached his work and about his mastery of light, composition and colour. With the aid of 17th century lenses, ‘goggle boxes’, pigments and contemporary media, the visitor studies the paintings of Vermeer in depth, but the magic of his masterly work remains. 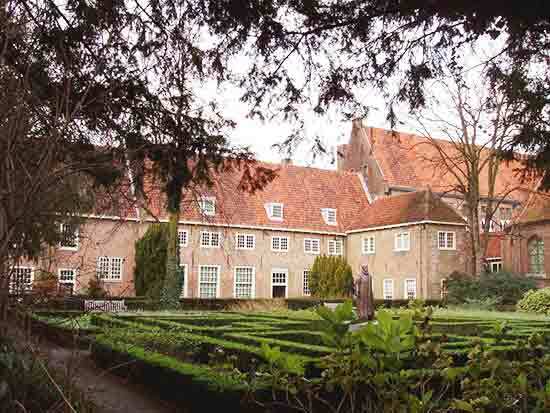 The Vermeer Centre is housed on the historic site of the former St. Lucas Guild, where Vermeer was Dean of the painters for many years. The painter Johannes Vermeer (1632-1675) is without doubt the most famous citizen of Delft of all time. His world-famous master pieces are exhibited in museums all over the world. Apart from the atmospheric colours and the harmonious and balanced composition, it is the depth and the use of light in particular that makes Vermeer’s paintings so fascinating. He lived and worked with his family in various places in the centre of Delft, where he found his inspiration. Partly because of his paintings, life in Delft in the Golden Age is still tangible. No wonder Delft was the location for the filming of a ‘Girl with a Pearl Earring’. At six different locations in the city centre of Delft you can see Johannes Vermeer’s life and work on rotating cubes. The locations of the cubes are related to periods in the painter’s life. Together they offer a brief, but complete meeting with Vermeer. Together with other Delft painters from that time, including Pieter de Hooch and Carel Fabritius, Vermeer formed a separate school in painting, the Delft School. They are characterised by their choice of simple subjects, household scenes, natural light, and excellent use of perspective. With more than six hundred national monuments, Delft’s city centre is really one big monument. The sixty bridges, the merchants’ houses, the mansions and gable houses along the canals, the old shop fronts, the churches and the almshouses are shining examples of Dutch architecture. Many historic buildings are used in daily life and can therefore only be admired from the outside. Fortunately, many of the monumental buildings house museums – an ideal way to enjoy the riches of Delft. Museum Paul Tétar van Elven is the former residence of the painter and collec­tor Paul Tétar van Elven (1823-1896) with period rooms from the 17th, 18th and 19th century. 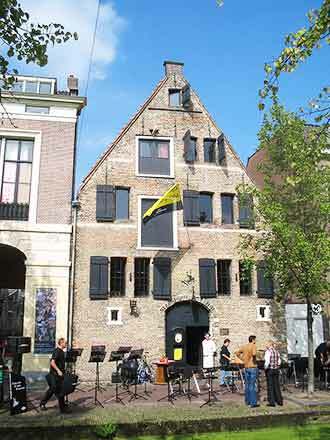 Museum Het Prinsenhof. The story of William of Orange and the Golden Age of Delft, with wonderful pieces of Delftware and contemporaries of Vermeer. windows were put back and the colourful murals were restored. Waag, Markt 11. City weighing house from 1644. Vleeshal, Voldersgracht 1-2. Front gable with sculpted cow and sheep heads. Visbanken, Cameretten. The central place for the fish trade for centuries. Oost-Indisch Huis, Oude Delft 39. Seat of the Delft Lodge of the Dutch East India Company (1631). Armamentarium, Korte Geer 1. Former artillery warehouse of the States of Holland and West-Friesland. Oldest part dates back to 1601. Since 1802 also an East-India warehouse. Oostpoort, Oostpoort 1. Only remaining city gate, dating back to approx. 1400. Agnetapark, Zocherweg. Revolutionary labourers’ neighbourhood from 1884-1886 with park-like feel. Stadhuis, Markt. In 1618-1620 designed by Hendrick de Keyser. Original medieval brick tower. Molen de Roos, Phoenixstraat 112. Originally a corn mill built on the city wall, with a miller’s house from 1728. Hofje van Almonde, Bagijnhof 10-22. Founded in1607, houses from 1855. Hofje van Gratie, Van der Mastenstraat 26-38. Founded in 1573, houses from 1660. Hofje van Pauw, Paardenmarkt 54-62. Trustees’ room in gate building (1707). Charitable almshouses dating back to 1605. Hoogheemraadschap van Delfland (the Delfland water board). In the old centre, most shops are located in historical buildings with beautiful gables and appropriate ornamental stones that date back hundreds of years. Around the Markt (Oude Delft, Choorstraat, Voldersgracht, Wijnhaven, Hippolytusbuurt, Vrouw Juttenland), there are many galleries, gift shops, exclusive fashion shops, little shops with knickknacks, and cosy cafes to relax in after all that interesting shopping. On nice days, there is always an outdoor cafe to enjoy. This is an excellent place to walk along the canals and to browse in one of the unique shops. And don’t forget the alleys! The many outdoor cafes of the old city centre turn Delft into a really attractive city to roam around in. For example, along the Oude Delft, on the Heilige Geestkerkhof at the foot of the Oude Kerk, the enjoyable Wijnhaven and the intimate Doelenplein. Under the plane trees of the rustic square you could be in France. The congenial shopping streets Brabantse Turfmarkt, Burgwal, Gasthuislaan, Molslaan and Breestraat, with their wide range of clothing boutiques, cheese and wine shops, and speciality shops, are a natural transition to the modern shopping centres In de Veste and Zuidpoort. Wandering along the stalls to look for that one special object ­genuine antique, bric-a-brac or a bouquet of summer flowers – you can always find something to your taste on the Delft markets. Antiques, Bric-a-Brac and Book Market Saturdays from 21 April to 29 September along the waterfront of the Hippolytusbuurt, de Voldersgracht, Vrouw Juttenland and Wijnhaven. General Market Every Thursday on the Markt (about 150 stalls) and every Saturday on the Brab.Turfmarkt/Burgwal (about 50 stalls). Flower and plant market Every Thursday at Hippolytusbuurt. From April at the Brabantse Turfmarkt. 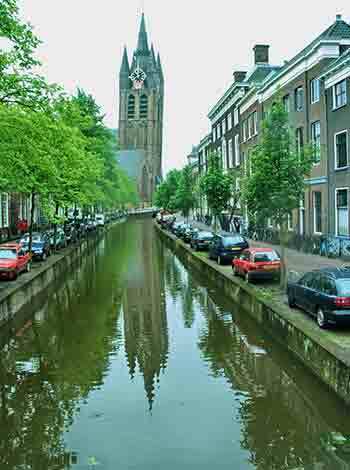 Discover the Oude Kerk (Old Church) and the Nieuwe Kerk (New Church) in Delft and relive history in the churches of Delft! the Oude Kerk, with its characteristic leaning tower. This recently re­stored place of worship has a splendid interior, including a beautifully crafted pulpit dating back to 1548 and 27 very special stained-glass windows. Most of these were made by renowned stained-glass artist Joep Nicolas. Dutch naval heroes Piet Hein and Maerten Tromp found their final resting place in the Oude Kerk, as well as Johannes Vermeer of Delft, the famous painter, poet/priest Stalpaert van der Wiele and scientist Anthony van Leeuwenhoek. The latter’s epitaph contains the phrase “Soo set eerbiedigh hier uwe stap” (Enter this place respectfully), written by the poet Hubert Korneliszoon Poot. The church houses an exhibition on its history. The Nieuwe Kerk dates back to 1496 and is located in the Markt. It has close links with the House of Orange-Nassau and the Dutch royal family. It contains the crypt where the members of the royal family find their final resting place. Assassinated in 1584, Prince Willem van Oranje (William of Orange, or “Father of the Fatherland”), was the first member of the House of Orange to be interred here. The impressive mausoleum of Prince Willem van Oranje near the crypt is now open to visitors again, following a major restoration of four years (1997-2001). The tomb was designed by architect Hendrick de Keyser and realised between 1614 and 1622. The choir aisle of the church is lined with several memorial graves, including the monument of Hugo Grotius. The church has 17 stained-glass windows. There is an exhibition inside the church and we can watch a video presentation of the Nieuwe Kerk and the Dutch royal family, but restoration work continues.